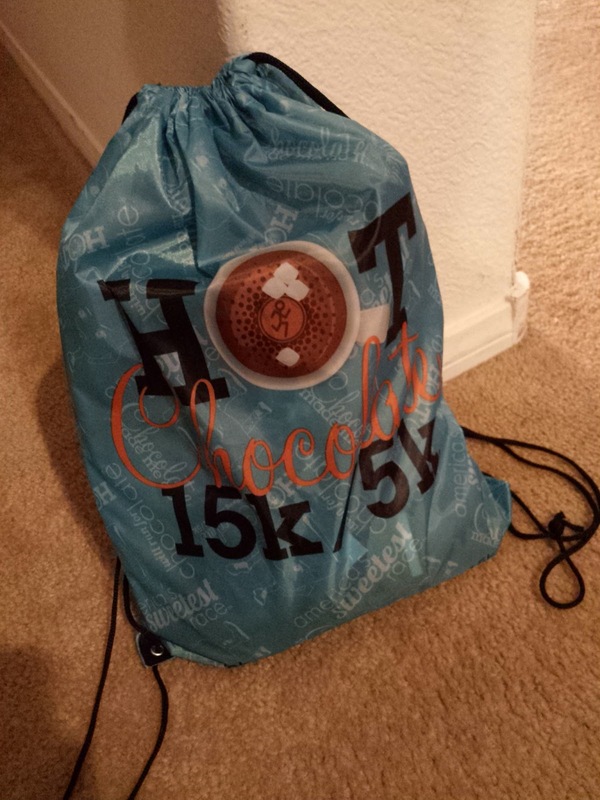 On Sunday, February 28, 2016 I laced up my running shoes to participate in the inaugural Hot Chocolate 15k in Las Vegas. I had heard nothing but great things about this race series in other cities, so when they were coming to Vegas I knew I had to run. Of course, I registered before I knew how my body would do after baby. Luckily I'm way too stubborn to quit, so I just got up and RAN! First, I have to say that I always give a race a pass on year one. They have to get out there and let it ride to see where they need to make improvements. I hope this race comes back to iron out all the kinks. The "expo" was well organized, but it was only a packet pickup. I don't think there were enough participants to warrant a big expo, so that's totally understandable. For locals, though, getting to the strip, parking, and walking through a casino to pickup packets is kind of a pain. The swag for this race is awesome! I love my jacket and buff! One word of caution though--if you plan to exchange your size DO NOT open your jacket! They have ones set aside for you to try on. Luckily the size I ordered fit perfectly. The morning of the race was a little confusing. The parking and transportation information they provided was not specific; it was general information about parking in Las Vegas. We parked at the LINQ and walked to the start. If you've never been in a Vegas casino, it's very easy to get turned around and lose where you are in relation to other locations. We spent at least half an hour trying to figure out where to go to get to the start. A few signs would have been nice. We got to the start as the 5k was getting off. They were running about 15 minutes behind, which then pushed our race start back. Add in a motorcycle that broke down and we were very late starting. Normally that wouldn't be too big of a deal, except that it was already getting very warm and the sun was getting strong. Once we were off, we ran down the LINQ promenade and did a short stint on the strip. That was the end of anything scenic. No high school bands, no music, no cheerleaders, nothing. It was a good thing my i-Pod was fully charged! The water stops had water (duh! ), Nuun, and a chocolate treat (either chocolate chips, M&Ms, or chocolate marshmallows). The miles were well marked and the streets were blocked off with plenty of room to run. Other than being pretty boring, it was organized and well-done. 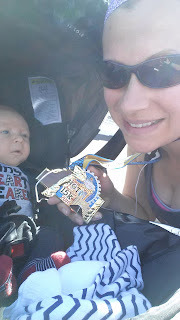 The finish line party wasn't so party-like, but the medal and goodies were great! Unfortunately, the last thing I wanted after a very hot run was hot chocolate and fondue. I wish it was cold out--I would have scarfed it down! I noticed afterwards that our mugs said "Frozen Hot Chocolate 15k"; I wish it was frozen. That would've hit the spot. After the finish, we headed back to go home. We made the fatal mistake of trying to leave the hotel at 11 a.m.--checkout time! We ended up spending an hour trying just to get out of the parking garage. What a rookie Vegas mistake! We should have just went out to lunch down on the strip. Unfortunately, this was just an okay race. 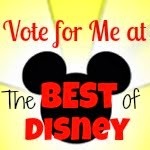 Unless there are big improvements, it's not one that I'd likely do again. I might travel to a different city to run, but it just didn't do well in Vegas. Also, this is a group race, for sure. The next time I'll definitely be recruiting my running family to run together. 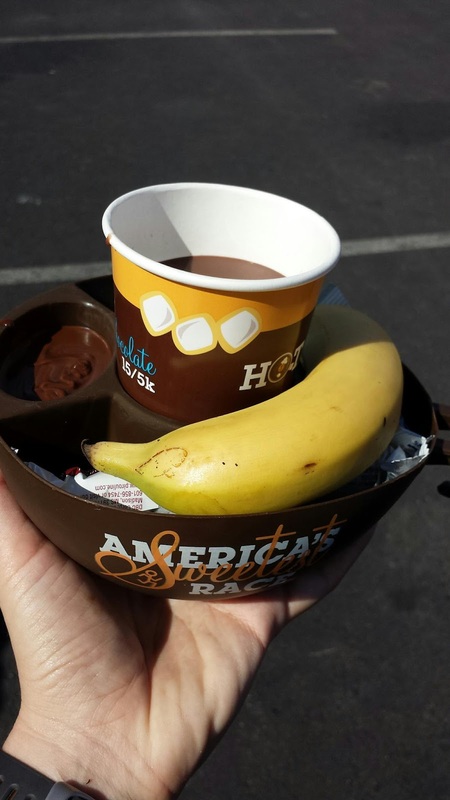 Have you ever run a Hot Chocolate race? What did you think? I've done the San Diego one the last two years and it's coming up again on March 20. I love it! The route is really scenic, and the treats afterward are great. This year I was really jazzed that they offered packet mailing so I didn't have to drive an hour and a half to San Diego two days in a row, but the jackets they mailed didn't have the city name embroidered. That was kind of a bummer. I'm sorry it didn't live up to the hype for you. Maybe they'll change it up. I've heard San Diego is a lot of fun! Vegas is a hard running market--the casinos aren't too interested in us runner, healthy types. HAHAHA! I'll probably give the series another shot in a different city--and hey, just another excuse to travel for a race! If I ever did Vegas again I would definitely have my packet mailed to save the hassle. Good luck in San Diego!!! I love this place in particular, it always has the best and impressive events every year. These venues have the perfect location if you are looking to host the event of a lifetime. The main-level features a large comfortable space. Gambling is a great field! But only for brave. https://www.nativecasinos.com/online-casino/mobile For those people who can control themselves.